Photo by Todd Bates. 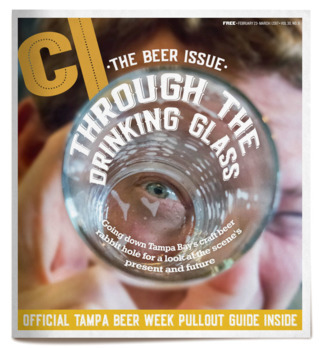 Cover design by Julio Ramos for @cl_tampabay. It’s our second-biggest issue of the year (Best of the Bay is always the biggest), and it’s always a blast (an exhausting blast, but a blast nonetheless) to put together. This year, the theme is ReFRESH; I wrote about doing kiddie summer activities as an adult (ReGRESS), fishing with live bait for amateurs (ReBAIT), and cool/indie/documentary alternatives to the summer’s big-budget blockbuster movies (ReVIEW). Enjoy, check out all the other content from a bevy of talented CL staffers and contributors, and have fun during these dog days. This entry was posted in Work For Hire and tagged creative loafing, summer guide, tampa bay on May 25, 2015 by scott.